January is a time of preparation and preventative maintenance in the garden. Browse catalogs, dream of what your garden can become, and do a few things outside on the warmer days. • Pick up and discard fallen fruit before spring arrives. • As nursery catalogs begin to arrive, look for plants with improved insect and disease resistance. • Peruse seed catalogs and prepare your seed order. • Things you can start: For spring flowers, get unplanted spring bulbs in the ground as soon as possible. o Start seeds throughout the winter, depending on growing requirements. o Water fall-planted perennials to prevent dry soil conditions. • Watch for signs of frost heaving and cover tender roots. • Check bulbs in storage for rot and decay. Discard damaged ones. • Curl up with a good book and learn more about gardening. • Avoid walking on frozen lawns. It may injure the grass. • Rake fallen leaves that pile up on the lawn to prevent suffocation of grass. • Scatter snow instead of piling it up on the lawn next to drives and walks. o Gently brush heavy snow from tree and shrub limbs to reduce damage. o Allow ice to melt naturally from limbs. Do not use water to melt the ice or attempt to knock it off. o Prune storm damaged limbs quickly to reduce damage and prevent tearing of the bark. o Avoid the temptation to prune on warm winter day. You'll prevent further damage. • Bring twigs of flowering trees and shrubs indoors to force blossoms. • Water fall-planted trees and shrubs when soil is dry but not frozen. • Watch out for rabbit damage to the bark of trees and shrubs. • Clean and repair garden tools during the winter. • Sand and seal tool handles to prevent splinters. Apply brightly colored paint to handles. It makes them easier to spot in the garden. • Keep bird feeders and water supplies filled for the feathered friends. • Evaluate the garden and make notes to assist in next year's planning. • Take photos of the garden and analyze for year-round interest. Even if it is still cold outside, plants are getting ready for spring. Finish up the garden planning and work on completing a few more outdoor tasks before the garden gets really busy. February is a also a good time to give houseplants a little TLC. • Draw garden layouts to assist with the planning process. • Review garden notes about successes and failure in the garden. • Order seeds for spring planting. • Select varieties and order new fruit trees. • Take a soil test if one has not been done the last five years. • Start broccoli, cauliflower, and cabbage transplants. o Fruit trees like apples, pears and cherries. o Peach and nectarines just prior to bloom time. o Grapes, raspberries, and blackberries. • Incorporate manure or compost into garden areas for soil improvement. • Avoid working the soil when it is wet. • Check dates on stored seed packets. Sprout a few from each packet in a moist paper towel. Discard packets with poor results. • Start seeds for transplanting in the spring. • Check fall planted perennials and water if needed. • Watch for frost heaving of tender perennials and cover if needed. • Replenish winter mulch around roses and other plants. • Check bulbs in storage and discard if rotted. • To prevent lawn suffocation, rake fallen leaves. • Review lawn service contracts and make changes. • Tune up and repair the mower to get a jump on the season. • Avoid injury to the lawn when the soil is frozen by keeping foot traffic to a minimum. • Check for rabbit damage on young trees and shrubs. • Water fall-planted trees, shrubs, and evergreens if the soil is dry and not frozen. • Apply dormant oil for control of scale and mites. o Begin spring pruning. However, do not prune spring flowering trees and shrubs until after bloom. o Cut twigs and branches of spring shrubs and bring them indoors to add a splash of spring color. • Carefully remove snow from limbs with a broom. • On warm days, prepare garden soil for early planting. • Check plants for insects, mites or other problems and treat as needed. • Withhold fertilization until spring arrives. • Remove dust build up on plants by placing in the shower and washing off. • Water as needed, avoid letting roots set in water. • Keep plants out of hot or cold drafts. This month brings us the official first day of spring, longer days, and more time to work in the evening with daylight savings time. Get ready for the full rush as your lawn and garden break out of their winter dormancy. • Prepare soil for spring planting. fertilize the garden with 1 to 2 pounds of 10-10-10 per 100 square feet. o Potatoes, peas, onions, lettuce and other salad crops. o Asparagus, rhubarb, and strawberries. o Broccoli, cauliflower, and cabbage in late March. • Start seeds inside for tomatoes, peppers, and other warm season vegetables. • Apply dormant oil to fruit plantings to reduce scale and mite insects. • Make a fungicide application to control peach leaf curl. • Finish pruning fruit trees, grapes, raspberries, and blackberries. • Remove mulch from strawberries when growth begins. • Plant pansies, snapdragons, calendulas, and other cool loving annuals. • If dry, prepare soil for planting by adding compost or other organic matter. • As growth begins, fertilize gardens with a balanced fertilizer. • Start seeds indoors under lights for transplanting to the garden. • Plant new roses. Remove winter mulch from existing roses and prune. • Cut ornamental grasses back to within 3 to 5 inches of the ground. • Fertilize spring flowering bulbs such as tulips and daffodils. • Cut seed pods from spent bulbs. • Help control iris borers by destroying old foliage before new growth begins. • Unwrap mail order plants immediately and keep them cool and moist until planting. • Spot spray for dandelions, henbit, and chickweed. • Apply crabgrass preventer in late March through mid April for best results. • Seed thin areas in bluegrass and tall fescue lawns. • If no fall application of fertilizer was made, fertilize bluegrass and tall fescue. • Mow grass ½ inch lower to remove winter debris. Do not scalp. o Prune trees, except birch, maple, and walnut, which are best pruned after leafing out. o Wait to prune spring flowering shrubs until after they bloom. • Mulch tree and shrub plantings up to 4 inches deep, keeping mulch away from trunks. • Fertilize trees and shrubs. • Plant new trees in the landscape. • Remove tree wraps from young trees for summer growth. • Rake and clean groundcover planting. • Sharpen and repair garden tools. Warmer weather, and hopefully April showers, will really get the garden growing. Take advantage of this month to clean up and refresh the landscape, get compost and mulch worked in, and start planting. Just be on the lookout for late frosts! • Harvest asparagus until spear size decreases. • Mow lawn as needed, bluegrass 2", tall fescue 3"
• Repot as needed, increase pot size by 1"
Blooming flowers and healthy grass are signs of one of the best months for gardening in Kansas. Wildlife, bird, and insect activity also picks up this time of year. Summer brings the lazy, hazy days. With the spring cleanup and planting done, June is a time for simple maintenance and enjoyment of the lawn and landscape. As the heat picks up, so do pest problems and water needs. Take a little extra care of your plants this month to get them through. • Watch for grubs. If they begin to hatch, an insecticide may be required. Apply in late July or early August. Summer in Kansas: Yes, your plants can survive! Keep giving them the care they need to make it through and enjoy the blooms of tough perennial flowers. September is the time for cool-season lawn care. Devote some energy there to get your lawn back into shape. Fall-blooming perennials will start to turn on their colors also. Shorter days and cooler nights mean the leaves will turn and fall from trees. Take advantage of the weather to plant trees, shrubs, spring-flowering bulbs, and mums. • Plant garlic cloves for next summer's harvest. Fall planting gets a jump on spring conditions. in a cool, dry location for longer keeping. • Harvest peanuts and roast for a homegrown snack. • Make notes of successes and failures in the garden for next year. • Remove hulls from black walnuts to retain good color of the kernels. • Continue to harvest apples. • Pick up and discard fallen fruit to reduce disease next year. • Plant spring flowering bulbs, such as tulips, daffodils, and crocus, for a splash of early season color. • Remove dead annuals from the garden. • Trim perennial stalks to tidy the garden for winter. • Pot bulbs for indoor forcing. • Clean up dead iris and peony foliage and destroy it to decrease the spread of disease. • After a light frost, dig canna, glads, dahlias and other tender bulbs for winter storage. • Make notes about the garden to document successes and failures. • Continue to mow the lawn if necessary, bluegrass 2 inches, tall fescue 2½ inches. • Control dandelions, henbit, and chickweed with a broadleaf herbicide while seedlings are young. • Sharpen mower blade for a clean cut. • Check oil level in your lawn mower. • Keep fallen leaves removed from the lawn to prevent shading and dieback on grass. • Plant new trees and shrubs and keep them watered during dry winter months. • Once the leaves have fallen, transplant trees and shrubs. • Trim dead, broken, or diseased branches from trees and shrubs. • Enjoy fall leaf color, which normally hits it peak about the third week of October. • Drain and store garden hoses and sprinklers for winter. • Prepare the compost pile for winter. Add new materials and turn. • Store unused seeds in a cool, dry location. Wrap up the gardening chores, put the garden and garden tools to bed and prepare for winter. November is still a great time for planting and lawn care. • Sort apples in storage and remove spoiled fruit. • Clean and remove fallen fruit from around trees to reduce insects and disease next year. • Protect trunks of fruit trees from rabbit damage with tree wraps. • Take a soil test and make needed adjustments this fall. • Till garden soil and add organic matter. • Till annual flowerbeds and add organic matter to improve soil. • Continue to plant spring flowering bulbs. • Depending on your gardening style, leave or cut back perennial stalks to 4 to 6 inches. • Apply a winter mulch to perennials and roses after several hard freezes. • Rake fallen leaves from the lawn to prevent winter suffocation. to promote root development and early spring green up. • If needed, water turf so its starts winter with ample moisture. • Control dandelions, henbit, and chickweed before spring green up. • Continue to mow into the fall at 2 to 3 inches. • Water newly planted trees and shrubs. • Plant new trees and shrubs. • Rake leaves and place in compost pile. • Check mulch layers and replenish. • Prune dead or hazardous limbs. • Wait to prune spring flowering trees and shrubs until after bloom. • Clean and oil garden tools, sprayers, and other equipment. Store them for winter. unscrew them from the faucets. winter storage. Make any needed repairs. • Start a compost pile with fall leaves. • Turn compost pile to hasten breakdown. • Start planning for next year. With winter’s arrival, gardening is usually for the birds. On mild days, take care of missed chores. Enjoy our feathered friends, take care of the compost, and start planning for next year. • Store leftover seeds and a cool, dry location, for example, in a sealed jar placed in the refrigerator. • Check vegetables in storage for spoilage. • Mulch strawberries for winter protection. • Clean and oil garden hand tools for winter. • Mulch roses by mounding soil 6 to 8 inches deep over the plants to protect the graft. • Mulch perennial beds with 2 to 4 inches of straw, shredded leaves, or other lightweight material. • Cut tall hybrid tea roses back to 18 to 24 inches to reduce wind whipping and plant damage. • Continue to plant spring flowering bulbs until the ground is frozen. Water and mulch. • Give plants or gift certificates as holiday gifts for gardening friends. • Empty decorative pots and containers. Store inside or decorate for winter. • Pick up fallen leaves, limbs, and other debris from lawn to prevent suffocation of the turf during winter. • Store any left over lawn fertilizers in dry location and out of reach of children and pets. • Store pesticides in a cool (not freezing) dry location for winter, out of reach of children and pets. • Keep heavy snowfall from limbs of trees and shrubs by lightly shaking to avoid damage. • To prevent breakage, avoid shoveling snow onto trees and shrubs. • Check and protect the trunks of young trees and branches of shrubs for rabbit damage. to outdoors and plant in a desirable location. • Prune damaged branches throughout the winter months. • Water newly planted trees and shrubs in winter to prevent dry soil conditions. • Mulch roots of tender shrubs such as azaleas and rhododendrons to keep vigorous during winter. • Prune branches of junipers, pines, hollies, and other plants to use as holiday decorations. • Start planning for next year by making notes and preparing orders. • Turn compost pile to encourage winter breakdown. 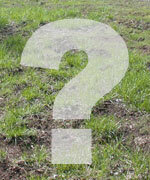 Want to get an assessment of your yard's Health? Get more information from our weekly newsletter. Click the map to find your Local Extension Office. Watch K-State Research and Extension Videos. Web Design by PixNinja Studio, LLC Lawrence, Kansas. Go Local!